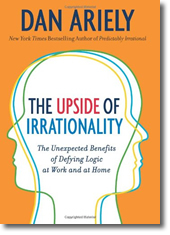 When Dan Ariely published his second book, The Upside of Irrationality, I received an announcement on email about a book signing in Geneen Auditorium. Students and faculty from throughout the campus packed the giant room and listened with careful attention as Dan described his experiments with decision making that illustrated how expectations and emotions skew our reasoning abilities. While everyone knew Dan as an excellent story teller, the audience also came from all corners of the university because they were intensely interested in how their minds really functioned. 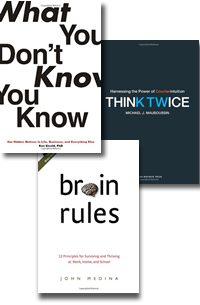 In recent months, the New York Times has listed several best sellers, written by neuroscientists, psychologists and journalists, which are relevant to faculty and students in many fields including decision making, leadership and marketing. 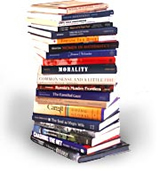 Below is a list of the Ford Library’s newest books on the topic. Other titles are on exhibit in the display window at the entrance to the Ford Library and in another book display in the Economics section within the library. 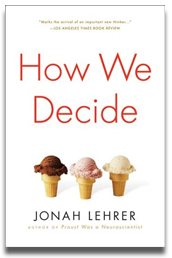 Explores two types of decision making, intuitive and deliberate (fast and slow) that underlie our irrational choices and contradictory thinking. 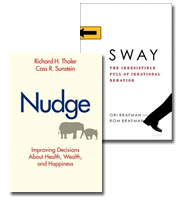 Recommended for fans of Dan Ariely’s Predictably Irrational. Presents six case histories of people who lost a key visual ability, such as how to recognize familiar faces or to read simple words, and describes the ways their brains compensated to enable them to live fulfilled lives. Explains that human brains are composed of a complex array of pieces and parts, most of which we have no access to, and shows how we are influenced profoundly by unconscious drives of which we are unaware. 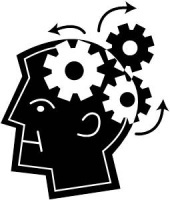 Illustrates that humans are prone to think in certain ways and not others, by using 48 cases of self-delusion caused by cognitive biases and logical fallacies. Easy and fun read. Analyzes familiar patterns of attention, suggesting new ways to see and learn that work best for education and the workplace in the digital age. Author is former Vice Provost at Duke. Uses the bizarre symptoms seen in the author’s neurology patients to unravel the connections between the brain, mind and body. Takes an evolutionary perspective on the relationships among brain, mind and self, exploring consciousness, what it is and how it is created. Recommended for readers with backgrounds in science and philosophy. 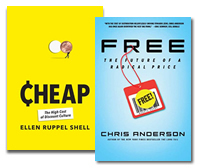 Fuqua School Dean Blair Sheppard asked Ford Library Director, Meg Trauner to select 5 recent business books that should “be on his nightstand”. – Optimistic view of a world no longer dominated by the U.S.
– Also available as an audiobook. – Control is out. Connection is in. – Read the full review. – Based on new research in neuroscience. – Cultural intelligence on how India operates. – Gripping narrative and education on derivatives. How to negotiate anything with anyone anywhere around the world by Frank L. Acuff, Amacom, 3rd ed., 2008. After a brief discussion of the basics of negotiation, this book discusses how to greet, communicate and negotiate with people in 62 countries worldwide. This book also includes a brief summary of the business climate in 7 regions of the world. 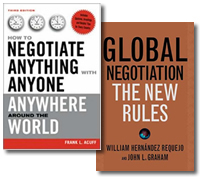 Global negotiation : the new rules by William Hernandez Requejo and John L. Graham, Palgrave, 2008. In this practical book, Requejo and Graham lay the groundwork for sustainable business relationships worldwide. The first part of this book discusses the multiple ways cultural differences in values and communication styles can cause misunderstandings between otherwise positively disposed business partners. The authors then discuss their model of global negotiation that includes intelligence gathering, communication and creativity. The last part of the book focuses on Indian, Chinese and Mexican negotiation styles.